Parents can feel more confident than ever before that their children will get a world-class education, as they find out which primary school has offered their child a place in September, School Standards Minister Nick Gibb said today (16 April). With 87% of primary schools now judged good or outstanding, compared to 67% in 2010, Mr Gibb said parents should be reassured that their children will be getting a good education at schools that are unrecognisable from a generation ago as standards continue to rise. Last year, 97.7% of primary pupils were offered one of their top three choices, while 91% of were offered their first choice of primary school, and these numbers have been gradually improving since 2014. Any school place offer day is a big event for families, but parents should be reassured that the improvement in the school system means that they would probably find the schools themselves unrecognisable from a generation ago. The curriculum has been revitalised, the phonics check is helping thousands of six-year-olds become fluent readers, the Teaching for Mastery programme means many pupils are being taught maths using world leading techniques and the gap between disadvantaged pupils and their peers is falling. What this means in practice is that even in instances where parents aren’t getting the news they hoped for today, the likelihood is that their child will be attending a school which will provide a first-class education. Standards have risen since 2010 with 1.9 million more children in good or outstanding schools. As of December 2018, 85% of schools were judged to this standard, compared to 68% in 2010. The attainment gap between disadvantaged students and their peers has also narrowed since 2011 and there have been notable improvements in Key Stage 2 achievement, as the new national curriculum has set a higher standard in schools. Last summer, more children across the country met the expected standard at the end of primary school in all of reading, writing and mathematics – totalling 64% of pupils in 2018 compared to 61% in 2017. This follows the introduction of the Government’s phonics screening check in 2012, with 163,000 more 6-year-olds on track to become fluent readers compared to seven years ago, and England’s recent rise up the international PIRLS rankings puts the success of the Government’s reforms on a global scale. Alongside progress in children’s reading abilities, the teaching of maths in primary school has been transformed, in line with the principle of the maths ‘mastery’ pedagogy. This technique of teaching is successfully practised by world leaders in mathematics, Shanghai and Singapore, and is now being introduced to schools in England. Thanks to £41 million investment there are already over 2,500 schools across the country involved in this approach, and the Government recently announced an additional £27 million to further expand the programme to reach 11,000 primary and secondary schools in total by 2023. To ensure every child has access to a good school place, the Government is on track to create a million new school places by the end of this decade – the largest increase for at least two generations. 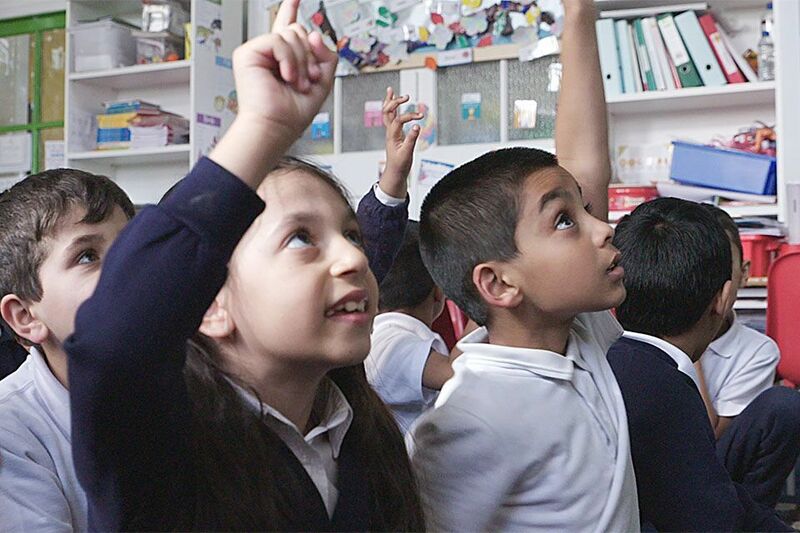 Since 2010, 921,000 school places have been created, with 636,000 of these in primary schools. This follows a decrease of 100,000 places between 2004 and 2010. Primary school offer day comes after the Government set out new guidance calling on housing developers to make financial contributions for new school places their developments create. The guidance will help local authorities to secure funding and land from developers for new schools and school expansions, which are required due to the construction of new houses.